The Ring smart home products are an easy way to keep an on your home when you are away. The doorbell allows you to see who is at the door via the built in camera and even speak to the person through the speaker. I installed the battery powered Ring doorbell at the front door. There is a “hardwired” version as well that requires a low voltage feed. For the outdoor security camera with floodlights I used the hardwired version for the front yard and a plug in version for the back. I really appreciate having the option for both plug in and hardwired options. I don’t have Wi-Fi out at the container house yet but when I get it I will install the Ring home security kit! Here is list of the Ring products I am using. 1. Ring Alarm Home Security Kit. The Ring Alarm Security Kit includes one Base Station, Keypad, Contact Sensor, Motion Detector and Range Extender. It is the control center that can accommodate the addition of other Ring devices. It also has active alarms such as a 110dB siren that is great for scaring away intruders. I like this as an addition to the surveillance abilities that the Ring cameras and doorbell offer. 2. Ring Wireless Video Doorbell. I forgot to have the electrician install wires for a doorbell so I selected the wireless version of the Ring Video Doorbell. I installed it in minutes and it was really easy. I can use my smart phone to see who is at the front door and even use the 2-way talk feature to chat with people on my porch. 3. 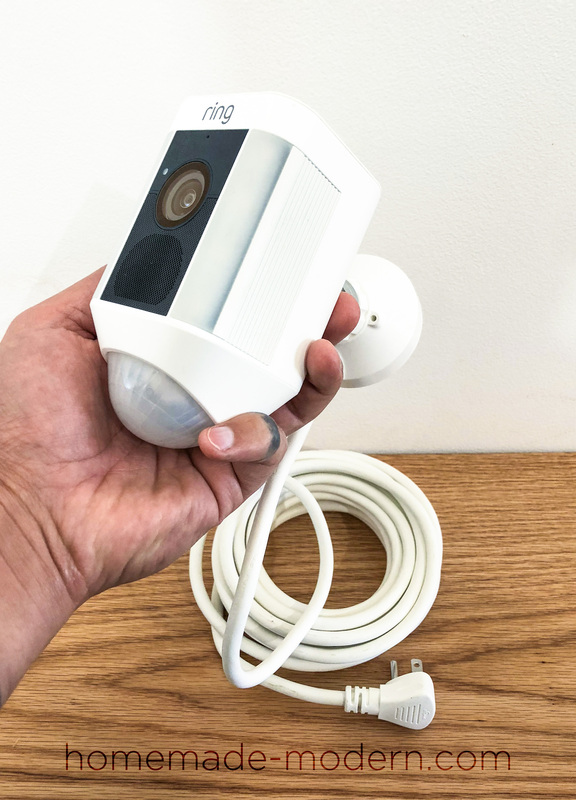 Ring Outdoor Wi-Fi Cam with Motion Activated Floodlight. The camera on the Ring doorbell is positioned in a way that the driveway area is not visible. I added this Outdoor Wi-Fi Camera with lights and motion detection to make sure I can know what's going on in all areas.